Looking for a fun , easy way to keep fit that can easily be fitted into your daily life? Try nordic walking. This is one of the worlds fastest growing fitness sports. Outdoor fitness sessions based around nordic walking that include strength and stretching as well as short bursts of high intensity interval training to increase your fitness. It is fitness walking using specially designed walking poles. 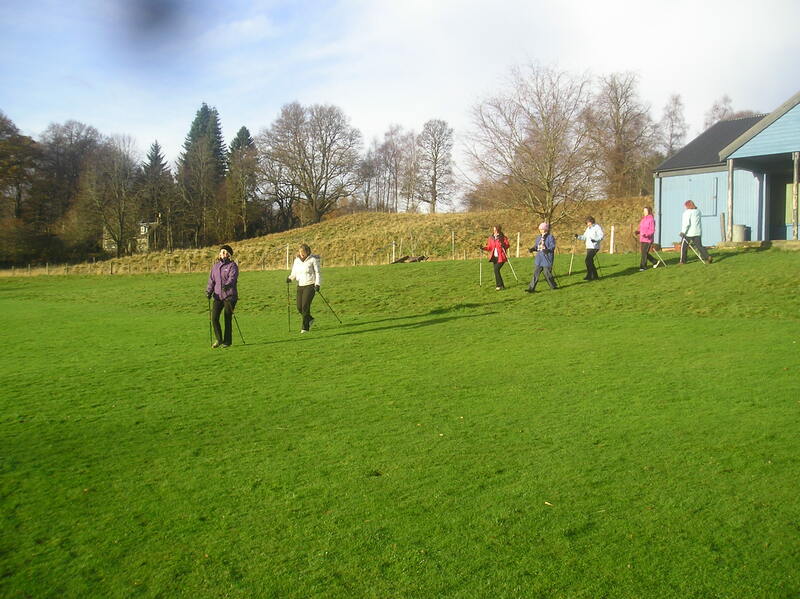 Nordic walking exercises the whole body using 90% of the muscles in the body. The upper body gets a workout with the big muscles around the shoulders and neck being worked properly as well as the arms. Tension in these muscles is released and the spine is strengthened – this can help to ease back pain. Originating in Finland – as a way for cross-country skiers to train in summer, Nordic walking has taken off all over Europe. Part of the sport’s popularity is due to the health benefits involved. These are considerably greater than those of normal walking. As well as improving your endurance, strengthening and toning the muscles in the upper body, arms and legs, and releasing muscle tension in the neck and shoulders, Nordic walking also provides an excellent cardiovascular workout. You get your heart beating somewhere between 5-17 times more per minute than normal walking. Many of the benefits can be put down to the use of poles. These improve your posture and help you to walk faster, by propelling your body forward thus increasing the lengthof your stride. Simply using poles means you consume about 20% more calories than normal walking, and if you combine this with the effects of walking faster, you can actually burn up to 45% more energy than when you walk normally, according to some research. Tutoring by Fran Loots who is an International Nordic Walking Association qualified instructor (INWA) and Level 2 fitness instructor.